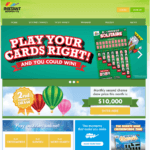 Playinstantscratchies.com/dev/ is the Australian and New Zealand friendly online website specially designed for Aussie and Kiwi gamers where our team collects information after deep research on Instant Scratchies, Scratch Card games and best online casinos suitable to play scratchies from Australia and New Zealand. 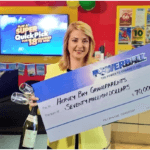 This online site gives information on top rated Australian and New Zealand friendly casinos, online casinos, online games, lotto scratch card games, Instant Scratchies, games apps as well as online casinos bonuses and offer latest pokies games info for players. The readers are brought forward the best of Aussie and Kiwi friendly latest casino reviews, casino games from the best gaming software providers as well as update casino bonuses to redeem at online casinos AUD, NZD to play with real money. 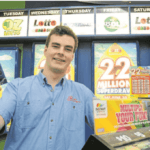 We also offer latest posts and related information on popular and new scratch card games on offer around Australia, New Zealand and its prominent cities, relating to casinos both land and online, sports, games and other such information that may deem to be beneficial to the reader all exclusive for Australians and New Zealanders. We expect our privacy to be paramount to the websites we peruse, and as such, understand how important safety and security is to our readers. We assure you that your privacy is of the utmost importance to us. You are responsible for the information you post in public forums or at online casinos or lotto sites as well your gaming sessions. The secrecy of your data will be your full responsibility. By accessing the information and/or using the services provided https://www.playinstantscratchies.com (“the website”), you hereby acknowledge your acceptance of the terms of this agreement. It is our right to make any changes we deem necessary to this agreement at any time we see fit. Once the changes are posted on the website, they take effect immediately. Your continued use of the website grants consent to this and all future policy updates. 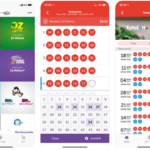 https://www.playinstantscratchies.comdoes not promote illegal or underage gambling, or gambling in jurisdictions where gambling or online gambling is considered unlawful. The information we offer on this site is provided for entertainment purposes only. https://www.playinstantscratchies.com is not responsible for the content any published links. 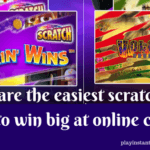 https://www.playinstantscratchies.com is not responsible for any financial loss or damages you may incur. By using this site you agree that you are aware of these terms, that you are of legal gambling age, and that you live in an area where it is not unlawful to gamble or gamble online.